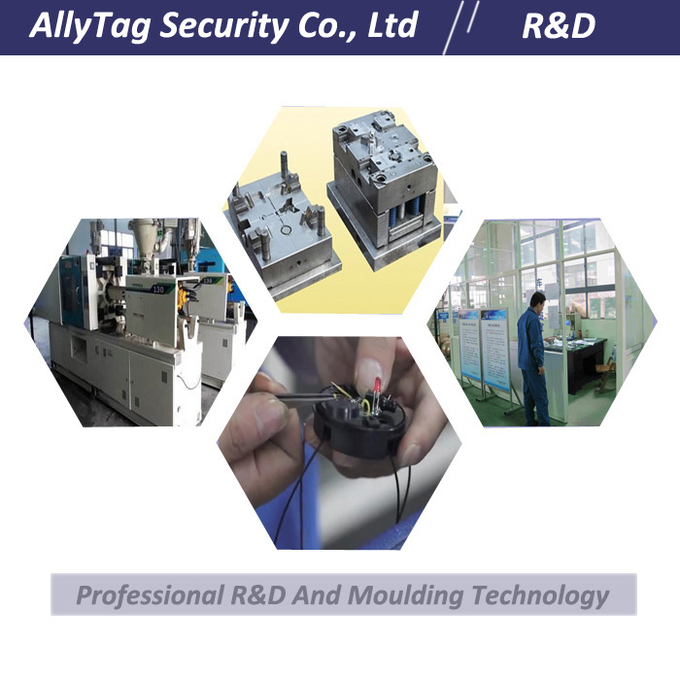 AllyTag Security Co., Ltd is a rapid-growing company focusing on the field of Electronic Article Surveillance (EAS) for years history, as a role of designing, manufacturing and trading supplier located in China that sells full range of EAS products of which Radio-Frequency (RF) and Acusto Magnetic (AM) systems, tags and accessories have been widely used in retail stores, supermarkets, hypermarkets and especially high-end apparel stores worldwide. With yeas of development, we have established very strong relationship with current customers and gained high reputation internationally. 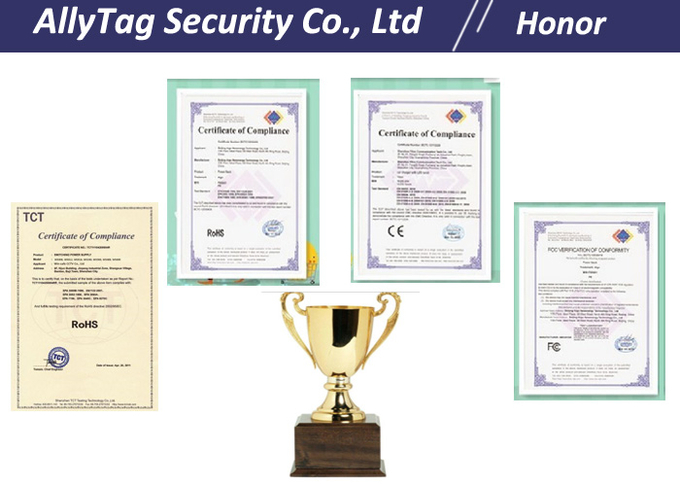 Our factory includes hard tags workshop, security systems workshop as well as accessories. 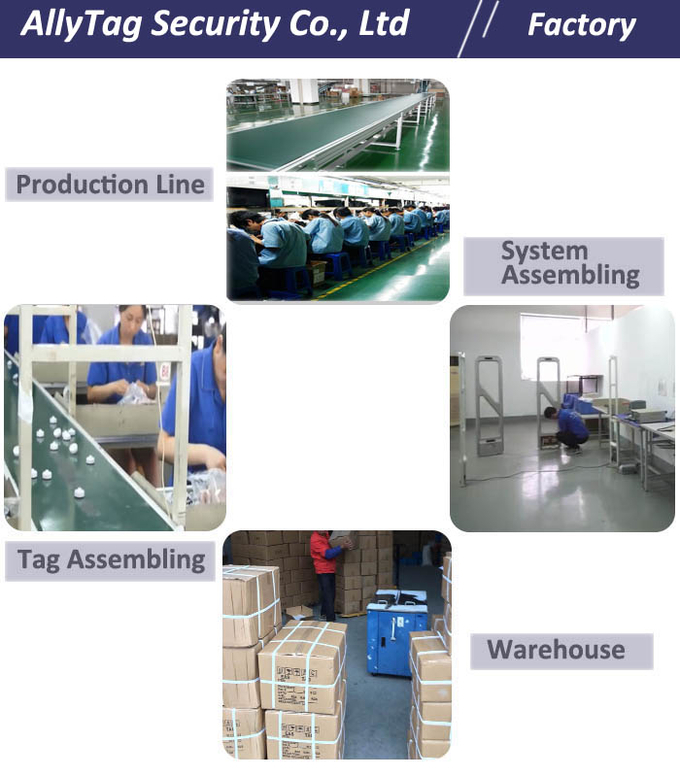 Professional and skilled production lines and working labors make us a leading manufacturer in EAS filed with high quality and customized quality and service. 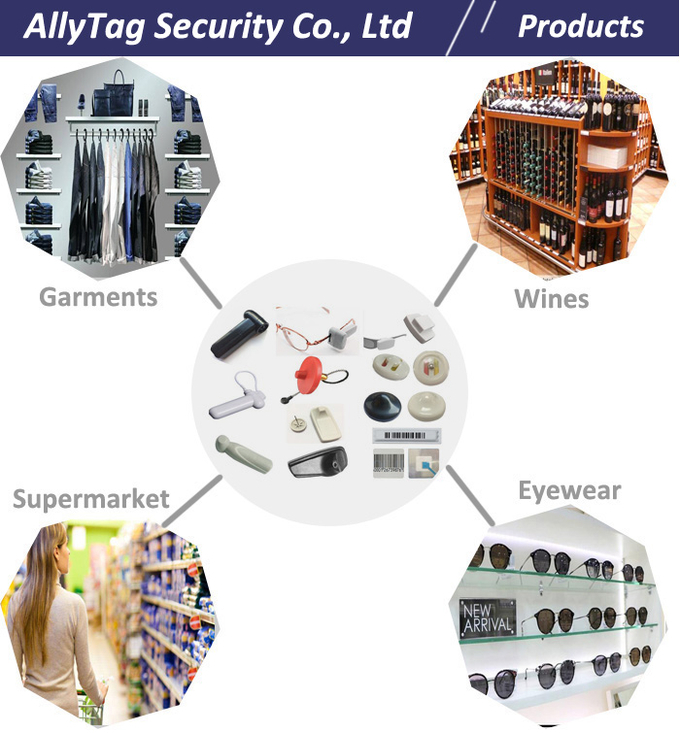 Our selling products for retail loss prevention cover from EAS systems, security tags, mobile phone security stands, store shelves security hook to all other accessories, which are mainly applied in retail stores and garments. Supporting by professional R&D team, we are able to design and manufacture moulds according to customers’ different requirements. The products itself is not unchangeable, as well as our designing, development and service. Currently we are producing and selling more than 100 kinds of anti-theft security products that are exported to different countries all over the world mainly in Europe, North America, South America and Middle East. Our retail security products have different levels that can meet customers’ specific needs, of which OEM and ODM production is accepted. We are offering cost-saving, environmental friendly and quality reliable products. To catch up with the pace of the international development, we are intending to manufacture and trade more technological products in retail security filed. We are growing fast in these several years together with supplier partners, factories and sales teams, and will never stop going forwarder to become stronger and bigger. We have professional design and technical team that engages in new product development and technology gurantee, which can satisfy various kinds of requirements from different customers. Strict quality control team makes sure that each product shipped out is in good quality, which is our responsibility to our custoemrs. As we continue to develop larger, our sales team works more professionally and take after-sales service seriously to ensure that customer can get possitive responds in time. Customer-first service, experienced technology and capable sales team make us a competitive and good cooperated company and partner. 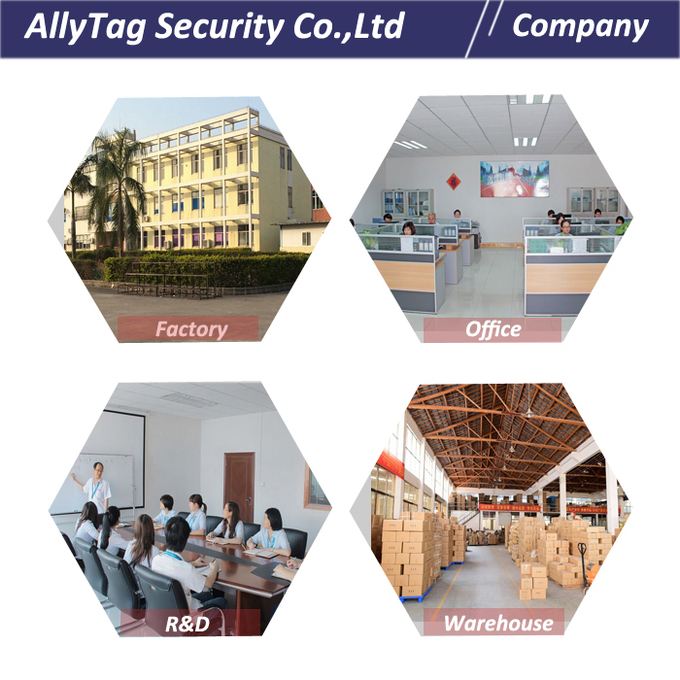 To take the purpose of ‘quality first and customer first’, AllyTag Security will show you the capability and advatages we have. Have the mission in mind that AllyTag Security always devotes itselft to help increasing retail sales while dereasing expense of workforce. Hoping that we can carry on cooperation with our customers in a strong and good business partner relationship! Let’s grow and develop together!